Based on William Shakespeare’s Romeo & Juliet, Summer is Coming follows a Rossland Volunteer Fire Fighter, Julian, who falls in love at first sight with Romola, a girl from Trail. Will a long-time feud between these two cities keep these two star-crossed lovers apart, or will love conquer all? Meanwhile, Fire Chief Guthrie attempts to prepare Rossland for the inevitable fire season, but his efforts seem to be thwarted at every turn by Alderman Flute. 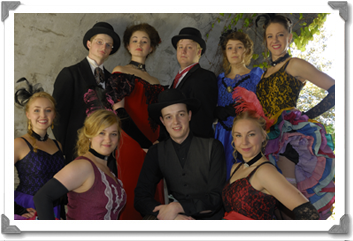 The Gold Fever Follies — Song, Laughter, Colour and Action!